For months now, some pundits have been certain that Mitt Romney was doomed because of his record on health care. And yet Romney has outlasted Tim Pawlenty, Haley Barbour, and John Thune, and he’s still going strong. Not as strong, perhaps, as Rick Perry. And yet Perry, too, has an apparent fatal skeleton. As Aaron Blake discussed in The Washington Post, Perry has an Al Gore problem: Perry endorsed the liberal climate hero back during Gore’s 1988 campaign, Ron Paul is already running ads making the connection, and Mitt Romney (seemingly) innocently dropped Gore’s name during the Reagan Library debate last Wednesday night. 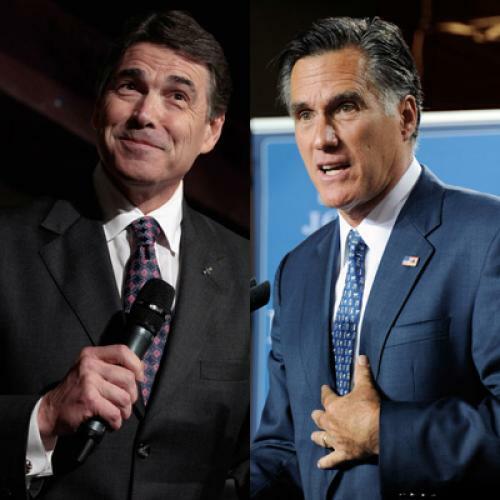 But in both cases, the focus on health care for Romney and the Gore episode for Perry shows a misunderstanding of how issues work, in general, in nomination politics, and, how these issues are likely to play out, in particular, over the next several months. Indeed, from the perspective of the party actors that play a big role in winnowing down the GOP presidential field, neither candidate’s skeleton in the closet is likely to matter at all. Certainly, rank-and-file Republicans can be counted on to strongly oppose any health care plan that sounds like Barack Obama’s hated Affordable Care Act—and it’s no surprise that rank-and-file Republicans don’t much like Al Gore. But the job of voters in presidential nominations isn’t really to choose between a wide-open field of candidates, at least not in most cases. Instead, what usually happens is that the real choices are made by party actors—politicians, party officials, and staff, campaign and governing professionals, activists, and others who do a lot more than just vote every four years—in the months and years before voters get involved in Iowa and New Hampshire. Voters, for their part, tend to either ratify those party decisions at the end of the process, or choose from a pre-winnowed field when party actors can’t come to a consensus. The relevant question to be asking, then, about whether either Romneycare or the Gore endorsement will end up playing a significant or decisive role, is whether party actors will care about these issues—and the answer to that depends a bit on which people we’re talking about. Politicians and campaign and governing professionals, for example, have strong incentives to choose whoever they think is most likely to win. Party-aligned interest groups want a winner too, but they are especially interested, naturally, in the policy positions of the candidates. Activists tend to value ideological purity. All of them have a strong interest in a candidate who they can trust. For most of these actors, it’s hard to see either of these things as a major issue. After all, what both Romneycare and the Gore endorsement actually “reveal” is purely symbolic. Where health care is concerned, Romney’s current position isn’t in any real way different from the rest of his party, and whatever Perry’s partisan history, no one doubts that he’s a full-fledged Republican these days. Indeed, Romney’s health care record, if thought about by people who really do know the history of the issue, is actually one that should reassure party skeptics, since in this case he was basically on the same page as conservative policy wonks when the Massachusetts program was adopted. That means that as long as Romney is fully committed to the current GOP position on ACA repeal (and he is), it’s unlikely that his Massachusetts record, however he talks about it, will unsettle those who are otherwise open to supporting him. Instead, the issue that is likely to be a problem for Romney is abortion; on that one, he really did oppose standard GOP positions, and those who care about the issue are always wary of politicians who they believe will ignore them once they are elected. As for Perry, his problems with party actors are probably tied most closely to questions of his electability, and on that score again his history of opportunism is probably good news rather than bad news. The Gore endorsement, in this conception, suggests that at his core Perry is a pragmatist, and will have no problem shifting to the center in order to get elected. Hints of that won’t please activists, but they don’t exactly have another viable horse to back at this point. Of course, that still leaves voters, who do, after all, need to ratify the party actors’ decisions, and it’s possible for them to overturn the choices that are handed to them. In down-ballot races where the stakes are lower, that can happen, as it may have in 2010 with GOP Senate nominees Christine O’Donnell and Joe Miller—although in both of those cases party actors were split. Presidential nominations, on the other hand, are contested with far higher stakes for party actors—for the politicians who want the top of the ticket to help them get votes, for governing professionals who want jobs, for activists who want the party to adopt their views—and so they do what they can to determine the nomination. Rank-and-file voters are, in most cases, opinion followers, not opinion leaders. If they’re told by Fox News and Rush Limbaugh that the attacks they’re seeing on Romney or Perry’s supposedly heretical issues are specious, they have every incentive to believe it. And if the bulk of the party has moved behind one of the candidates, that’s going to be the bulk of what GOP voters hear during the primary season. It certainly is possible that voters could reject the choice of candidates they’re being offered; some Republican operatives probably worry that voters will reject Romney on the basis of his religion regardless of what opinion leaders say, or Perry because they fear losing their Social Security benefits (a far less symbolic issue). And in the unlikely event that party actors split and we get a long, drawn-out contest, then voters really will choose between two viable candidates with little or conflicting guidance from visible party actors. If that happens, these issues (or anything else) might make the difference. But the most likely outcome is that party actors winnow the field down to one real candidate by Iowa, and that neither of these issues is particularly important in making that choice.